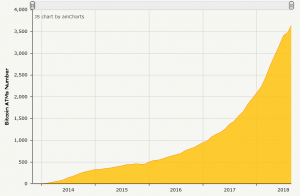 Legal status of crypto is slowing down Bitcoin ATM growth. Stubbornly high fees are placing a limit on customer usage. 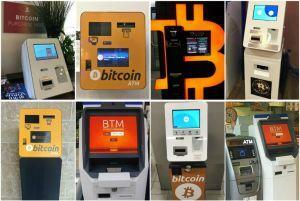 Compilation of Bitcoin ATM pictures, posted by the Reddit platform users. Ever since the first machine was installed by Robocoin in Vancouver in October 2013, Bitcoin ATMs have faced several ups and downs, with Robocoin itself shutting down in 2016 and, more recently, malware being reported as a potential threat to ATMs. However, the number of crypto ATMs in the world is rising steadily, and that they're enjoying increased usage from customers. Still, the legal status of crypto is preventing their growth from being as impressive as it could be, while stubbornly high fees are placing a limit on customer usage. 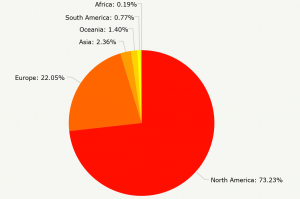 Since 2013, the North American bias of Bitcoin ATMs hasn't really changed, despite a spokesperson from Coin ATM Radar, a provider of data about the Bitcoin ATM market, telling Cryptonews.com that there's been a noticeable worldwide rise in ATMs. 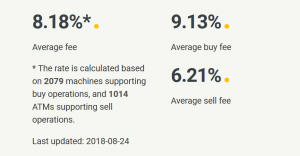 "There were 1,443 machines on 1 Aug 2017," they explain, "so it is 146% growth over last year (currently 3,558 machines)." In fact, as of writing there are now 3,646 machines, with an installation rate of 6 per day. Yet once again, around 2,074 of these are in the US, which has more than half of all ATMs. Yet some features of the Bitcoin ATM landscape are changing, not least because 22% of ATMs are now in Europe. For one, there has been a growing embrace of altcoins, which are increasingly available via ATMs. "Back in 2015, roughly 99% were bitcoin only," says Coin ATM, "now more than 50% of machines also support other cryptocurrency (-ies)." To provide some specific figures, 99.9% of the ATMs registered with Coin ATM Radar enable transactions in Bitcoin, while the percentages for the most popular other cryptocurrencies are as follows: Litecoin (50.5%), Ethereum (32.5%), Bitcoin Cash (24%), and Dash (12.9%). Such growth comes in parallel with a gradual decline in Bitcoin's dominance of the total market capitalisation of all cryptocurrencies, which was about 91% at the end of 2015, before dropping to around 38% in June 2017. Given that it's now risen back up to 53%, it will be interesting to see whether altcoins such as Litecoin, Ethereum and Bitcoin Cash can increase their availability via ATMs. More disappointingly for users of Bitcoin ATMs, it would seem that the fees for using them haven't really decreased since their 2013 emergence, despite increasing competition. "Regulatory requirements add a lot of costs to start such businesses and also run them,” explains Coin ATM Radar's spokesperson, “and there are now many large companies who operate networks of machines." Such larger operators – e.g. Coinsource, Coin Cloud ATM, Bitcoin Depot –– are able to lower fees to around 7% or 8% of a transaction's value, by taking advantage of economies of scale. "However," Coin ATM Radar adds, "it is pretty normal to see 15% fees on the US market." In other words, depositing or withdrawing crypto from an ATM still remains a fairly expensive business, with usage at most machines sticking to around two to five transactions per day (although a few very popular machines reach 30 or more). "For manufacturers, one of the challenges is to scale their business," says Coin ATM Radar. "For example, when you order from top providers there is still quite a lengthy wait to delivery time (several months), also manufacturers provide software (one of the main propositions) and running everything smoothly and secure requires a lot of research and development." And for those who actually install an ATM in their shop or place of business, there still remains the matter of crypto's obscure legal status. 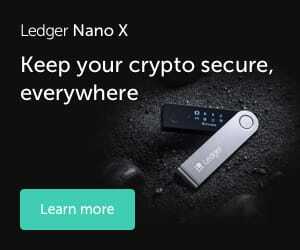 "The main issue is legal unclarity or sometime clarity, which requires investment in legal advice and registering everything properly, which in some US states requires a lot of up-front investment." Despite the fact that such issues are placing a bottleneck on the natural growth of Bitcoin ATMs, at least one other problem has apparently been fabricated. General Bytes revealed in a press release that reports of "ATM malware" were false, and that offers to sell such malware on the dark web were in fact a scam. "Bitcoin ATMs manufactured by GENERAL BYTES have no functionality that would enable dispensing cash prior [to] successfully receiving cryptocurrency via cryptocurrency network." So, despite the relatively high fees and questions over crypto’s legal status, Bitcoin ATMs are doing just fine in their bid to promote crypto.